It is not too hard to get a fire started when you have a stable/plentiful ignition source like a lighter but what if you don’t have that available? You are lost in the woods on that hiking trip or got turned around tracking that deer during hunting season and you are stuck in the woods for a night?? Nothing can give you a sense of security like being able to get a fire going for heat, cooking, light and protection. 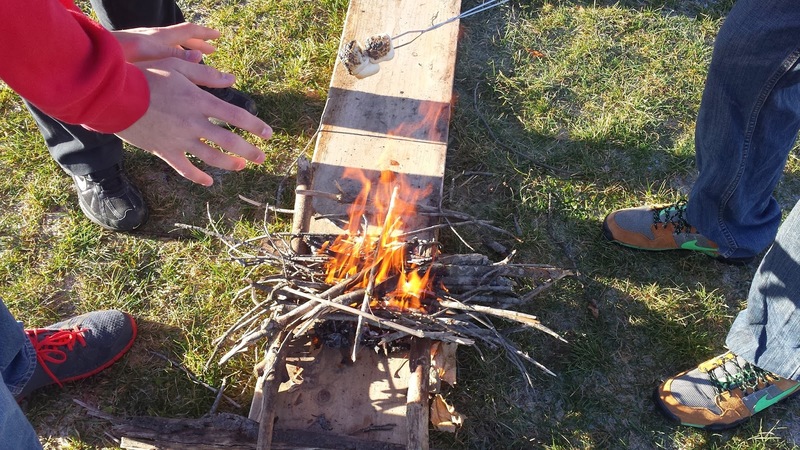 Our goal in the fire building lessons was to do just that. 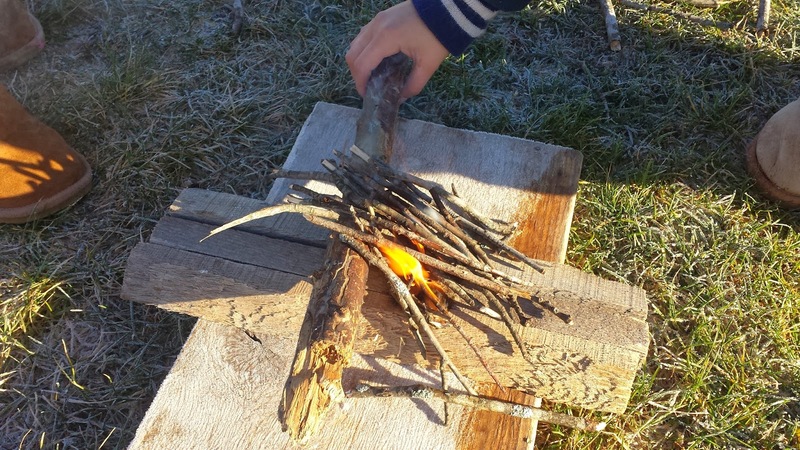 Be able to effectively build a fire with a reliable resource. First we went to the computer lab to watch a short video on how to build a fire. I found a great series on youtube by Reggie Bennett of Mountain Shepherd Survival School on different wilderness tips and trainings. 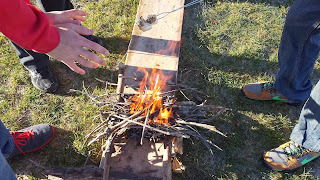 The next class period I brought in a bunch of timber, branches & sticks I collected and I also purchased a couple sparkie firestarters from Walmart (same one used in the video) for about $7.00 and I got some petroleum jelly and cottonballs. I paired the kids up in groups of two and had them build a small fire using just the sparkie tool and the “jellied” cottonballs. Kids had fire in a matter of seconds when they used the handle & platform technique from the video. 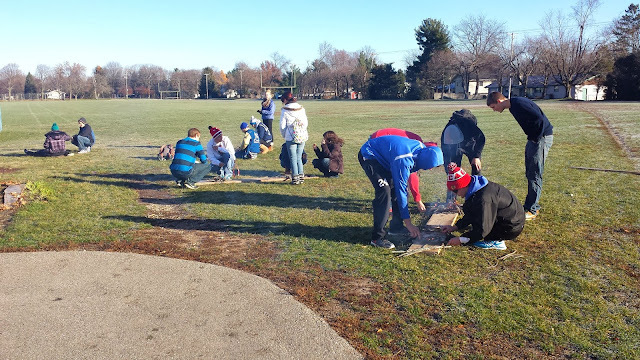 It was incredibly easy and empowering for these kids to start a fire with no traditional ignition source. Once they had their fire going, they could make a s’more as a reward. The kids loved that little incentive!! I did have some kids who really didn’t take the video seriously and didn’t pay a lot of attention to the steps of building a fire. They really struggled to get a fire going and didn’t have a lot of time to get their “reward” because the deal was they could make their s’more on THEIR fire. 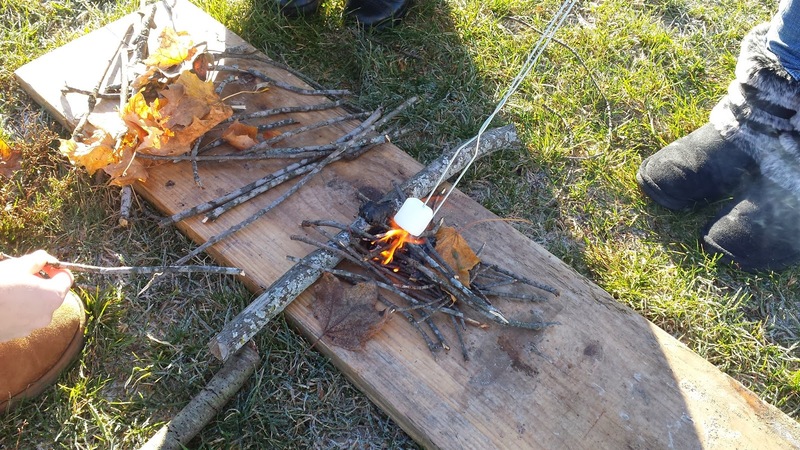 It was a little humorous that most all the girls in class had fires going very quickly and were cooking up their s’mores while a handful of mostly boys were struggling getting a fire going “their” way. Most finally did get a fire going but it took quite a bit of time, energy and effort. Overall, this was a great activity and the kids really got some enjoyment out of seeing it done by “experts” and then replicating that success in real life. ** Safety wise, I would definitely have a fire extinguisher or a water source available in case a fire gets a little out of hand. I would also suggest a garden rake as well to rake out any coals. I planned to do our fires on the baseball gravel but it was all mud so we used some old 2 x 12’s to protect the grass. In the future I am going to get a sheet of tin roofing and cut it into 2-3 ft squares for the kids to build their fires on. It is re-useable and easier to clean up (dumping ashes) when it is all done.